Pembrokeshire is one of the three most westerly peninsulas of England and Wales and so has a mild oceanic climate. It is dominated by the coast, which is predominantly rocky, and in 1952 became the first National Park in the United Kingdom to be designated primarily because of its spectacular coastline. The inland Preseli Hills provide moorland and bogs, while there are also some traditional farms which still allow scarce arable weeds to be found. 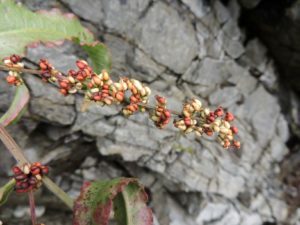 "Plants of Pembrokeshire" by T.A. Warren Davis was published by the West Wales Naturalists' Trust in 1970. 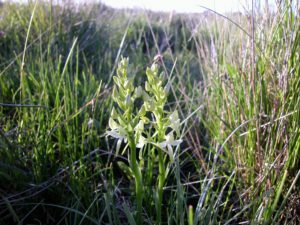 A report on the Lesser Butterfly orchid in the vice country can be viewed here. 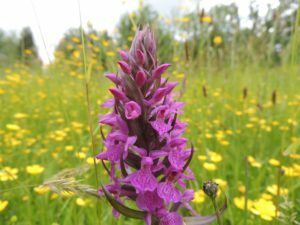 The Vice Country recorder works with the National Trust, the Wildlife Trust of South & West Wales, the Pembrokeshire Coast National Park, Natural Resources Wales and the Ministry of Defence to survey the rarer plants of Pembrokeshire including those pictured below. 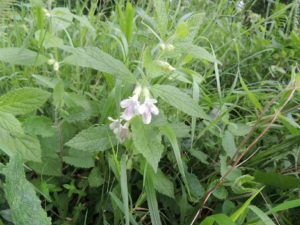 The results of this monitoring are summarised in the Pembrokeshire Rare Plant Register.